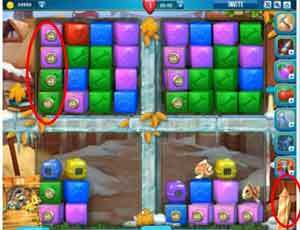 These Pet Rescue level 209 cheats and tips will help you beat level 209 of Pet Rescue. The objective of Pet Rescue level 209 is to save 8 pets and get 23,000 points. 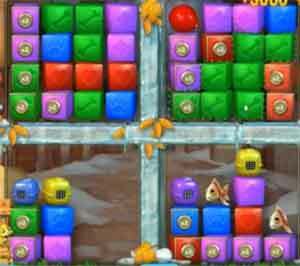 The way the blocks are setup will allow you to easily create combos and rescue pets. After you have cleared most of the left side, you may begin working on the right side. Use a column blaster booster. It’s best to use the column blaster where there are the most locked pets in cages. And when you have enough cages stacked, you can use a Column Blaster Booster to release all the animals in cages.